Milled Parts are Included in all Editions. This video shows you the parts lists. Milled parts, Labor and Hardware (Other Items) are in all Editions. Primary/Secondary materials and the Glued-up Panel wizard are in all Editions. This is the main parts list, showing all the milled parts that make up your woodworking project. From here, you can click on any column header to sort the list. Or, you can move parts up or down, insert new parts, even sort by cross-section. 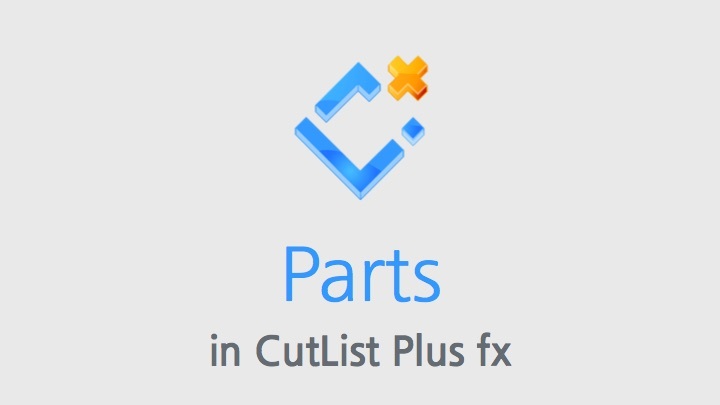 When you're ready, CutList Plus will renumber your parts for you. If you've ever made a last-minute change, you can appreciate how helpful it is to have all the re-calculations taken care of automatically. You can even jump directly from a part to each of the cutting diagrams that part appears on. You can track the labor for your project in its own list. CutList Plus will price each type of labor separately, and keep track of the total.